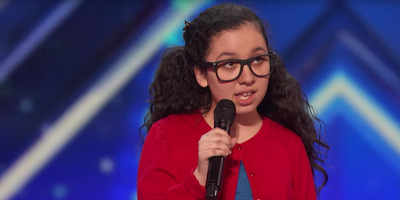 America’s Got Talent/NBCLori Mae Hernandez is a 13-year-old comedian. Some comedians say it takes about ten years to get really good at stand-up. So far, Lori Mae Hernandez has been doing it for three. Oh, and did we mention that she’s 13 years old? Hernandez did a set on “America’s Got Talent” and brought the house down. One joke that really stood out was about Donald Trump. She started by talking about how ridiculous it would be for adults to trust her as a babysitter at her age. Then, she took it to another level with her next comparison. “Weren’t you the host of a reality show? You wanna be President of the United States?” she concluded. Even the four reality show judges sitting in front of her couldn’t get enough of it.